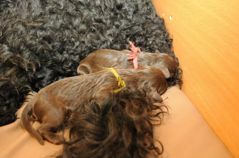 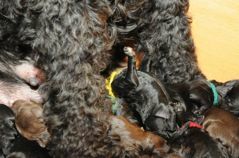 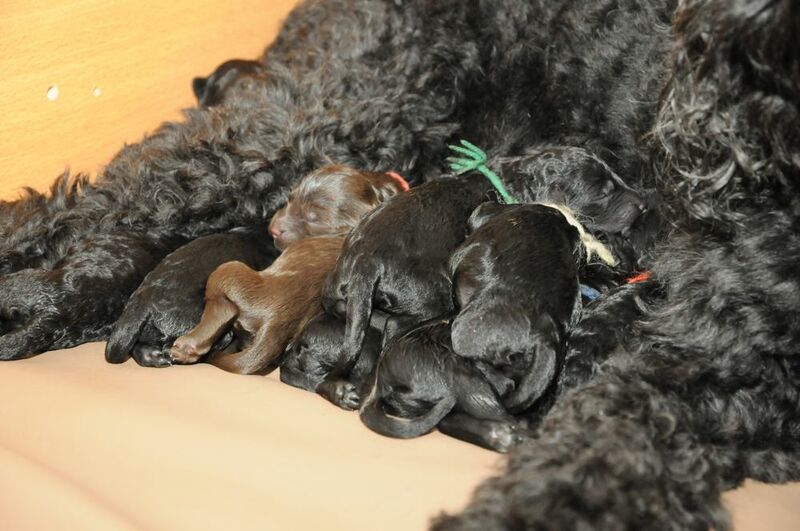 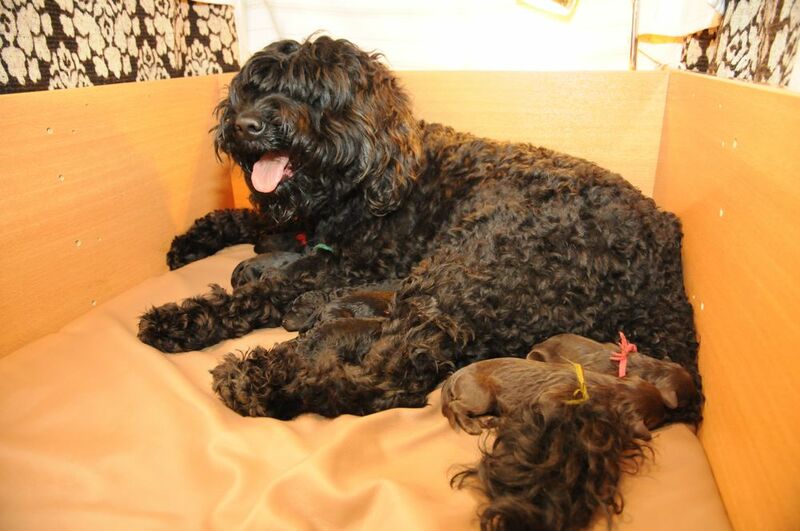 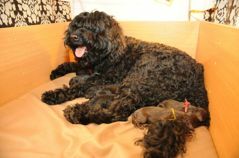 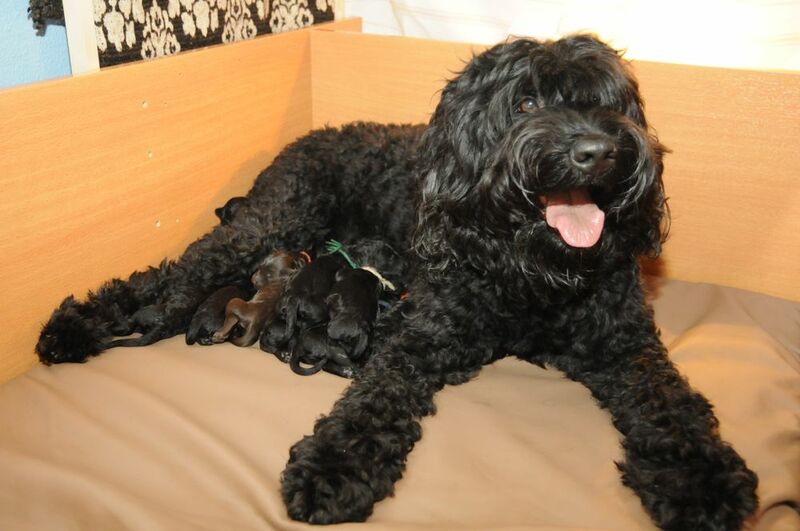 On Feb 9 Yatzie gave birth to 10 puppies. 5 males (1 brown, 4 black) and 5 females (1 brown, and 4 black). These sweet puppies were given names of angels because that is what they are to us! 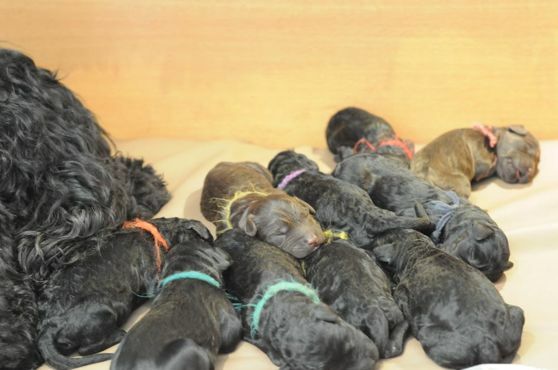 > See photos of the angel puppies week by week. The 10 angels, 3 days old.